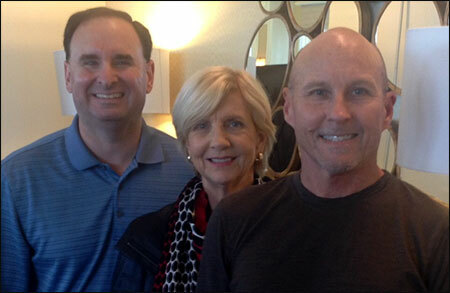 Rice & Rose family law attorneys, Paul Rice, Beth King and Phil Bonamo (pictured right to left) attended the annual Marital and Family Law Review Seminar presented by the Florida Bar Family Law Section and American Association of Matrimonial Lawyers at the Hilton Bonnet Creek in Orlando, Florida on January 30 and 31, 2015. More than 1000 divorce and family law attorneys attended. Over the course of two days, speakers discussed cutting edge law and recent developments and trends in Florida. This seminar also serves as a preparation course for those divorce attorneys planning on taking the exam to become board certified. There are only 278 board certified marital and family law attorneys out of 68,484 total attorneys in State of Florida. Paul Rice has been board certified in marital and family law since 2008.